The PS4 2.0 update is crashing systems and won’t power on in Rest Mode, which was formerly known as standby. 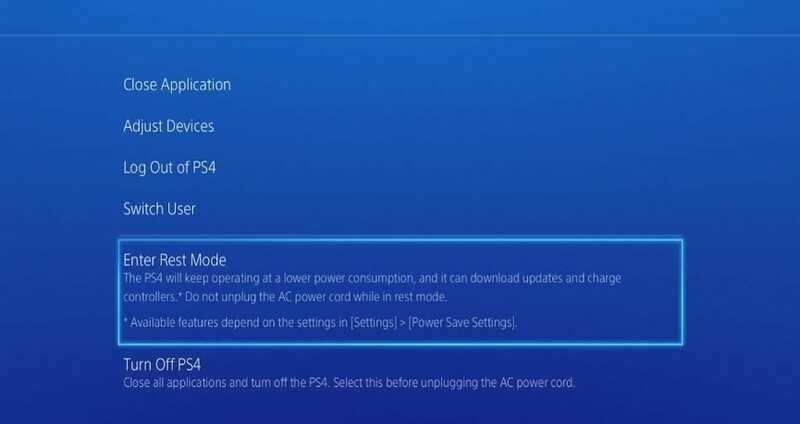 In fact, not only is Sony aware of these problems, but their support channel on Twitter advises PS4 owners on what to do if their system won’t power on in Rest Mode. You can see one such tweet that advises what to do if your PS4 is crashing after the 2.0 update, and in particular when it freezes after entering the new Rest Mode. In a nutshell, you are told to enter safe mode and reinstall the system software update. This is clearly not working for some people, as you can see in the tweet above. Some people state their “PS4 is not working at all since putting it into rest mode”. The current recommendation is to not let your PS4 enter Rest Mode until PS4 2.01, or 2.1 releases to fix these issues or you will continue to experience crashes. It’s not good news for those that preferred to use their systems from this quick firing mode, although for now they will need to boot each time from cold. You can leave the status of your PS4 system, or any PSN issues on the appropriate Down Today page.